Torn between an international and a local MBA? Here at the Arthur Lok Jack Graduate School of Business there's no reason to choose. Gain access to the best of both worlds with a Dual-Degree programme offered by both the Arthur Lok Jack Graduate School of Business & the Florida International University (FIU). Complete 1 year at the Lok Jack GSB and thereafter complete the 2nd year at FIU to gain 2 Certificates: An International MBA and a Master in International Business. "In my pursuit of a Masters degree in business, I was convinced that I would be forced to choose from two options – either pursue a degree at a local institution or venture outside of Trinidad to an international university. Then, I learnt of the Dual Degree programme offered by the Arthur Lok Jack Graduate School of Business & Florida Interational University (FIU) and was pleasantly surprised that I no longer had to select either local or international – I could access the best of both worlds! 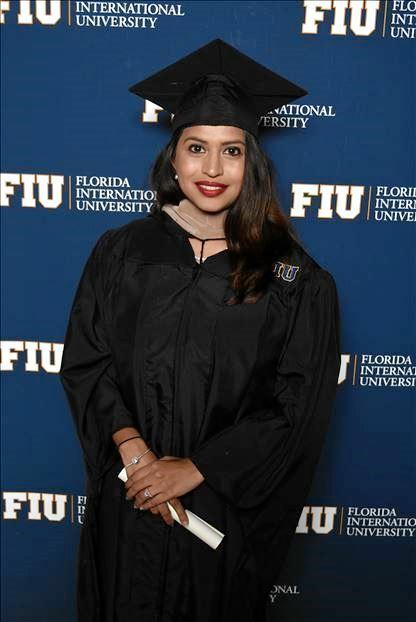 Approximately one and a half years later, having obtained two degrees, the International Master of Business Administration from ALJGSB and a Master of International Business from FIU – I feel better equipped to lead multinational teams. At ALJGSB, lecturers focused primarily on key areas of local and regional opportunities and challenges in our Caribbean context. At FIU, sessions were geared toward international issues and challenges particularly those being faced by emerging markets and LATAM countries. In both programmes, I believe that the true benefits derived were rooted in the mere fact that faculty members and students were representative of regions being covered. As such, perspectives reflected were authentic and in many cases, classes seemed like focus groups or brainstorming activities meant to uncover solutions to real-world problems. Outside of the classroom, there were several group research projects. I worked closely with colleagues, faculty members, the Associate Dean and business experts to not only showcase my talents but more importantly learn from tried and tested methods as well as to engage in meaningful discussion. Apart from the obvious academic and professional advantages, I have also benefitted personally. I formed long-lasting friendships and memories with my fellow classmates during the IMBA and the MIB which I am sure will be an asset for the future. I truly believe that the dual degree programme is an opportunity worth capitalizing on. Students who are literally willing to go the extra mile to broaden their personal and professional horizons will not be disappointed." Want to take control of your career and have the right skills to not only retain your job but rise above? Then download the International MBA brochure and apply now for the September 2017 Intake! Does Accreditation Matter? An Applicant's Decision: Face the storm or Give up?